In 1936, my grandmother sat on the veranda of Hotel Americano in Curacao, looking across the Santa Anna Bay channel at the picturesque Dutch-style waterfront shimmering in its pretty pastel colours, and watching the pontoon bridge swing open to admit vessels to the island’s giant lagoon. Eighty years on, I sit in the same spot, pondering the cruise experience that brought my predecessors to this beautiful Caribbean island: a seven-week round-trip voyage from S outhampton around the West Indies aboard SS Duchess of Richmond, a ship built in 1928 for the Canadian Pacific Steamship Company. I grew up with two old photographs taken in a grand salon aboard that ocean liner, romantic images of my grandparents and my father Tony, then aged eight, posing in the costumes they had packed for two fancy-dress balls that book-ended their odyssey. But I don’t recall hearing any stories about this adventure on the high seas. I never knew my paternal grandparents, and as a child it simply didn’t occur to me to ask my father, who died when I was 18, what it was like for a family from north London to encounter something as foreign as the Caribbean back in the 30s. And then, a couple of years ago, I discover a diary kept by my grandmother during the voyage. It is a daily record of what life was like aboard the so-called Drunken Duchess, and her impressions of the intense heat and exotic ports of call, providing a fascinating 10,000-word insight into a bygone era of cruising. 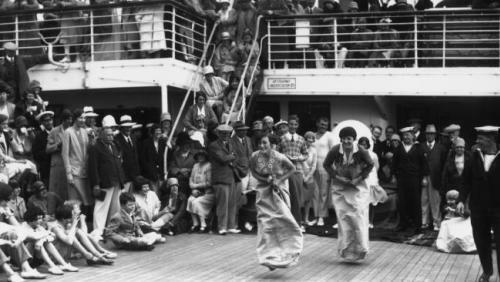 It would be impossible to re-create that 1936 itinerary in a single cruise today, but I want to follow in some of those family footsteps with a cruise line known for its traditional approach. 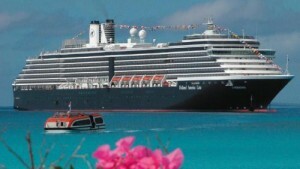 That is what brings me to Curacao aboard Holland America Line’s handsome Vista-class ship, MS Zuiderdam. The island’s colonial-style Hotel Americano was burned to the ground in a 1969 uprising by native workers, but I know where it stood from old postcards. Today an unassuming bar, Cafe Americano, stands on the site. My grandmother wrote: “Curacao is a Dutch possession and the buildings are all very clean. No whitewash is allowed owing to the glare, but the place looks much more picturesque with the various pastel shades.” When I visit, the view across the water appears virtually unchanged, and, three days into my pilgrimage, I am overwhelmed by a sense of connection with the past. It happens a few times on this evocative trip, which also takes in Half Moon Cay, Aruba, Colombia, Panama and Costa Rica, but mostly it is the differences between cruising then and now — in terms of both on-board life and shore excursions — that are so striking. 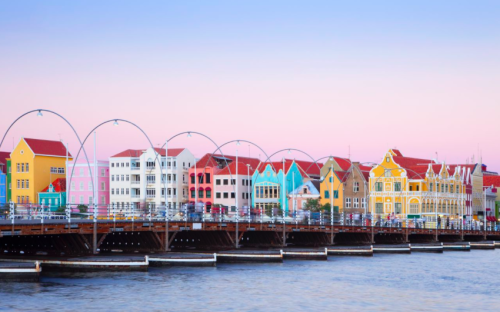 While my grandmother found little to do or buy, I have my pick of 14 excursions offered by the ship and opt to visit an aloe vera plantation and the 120-year-old Curacao Liqueur Distillery before exploring the capital independently. 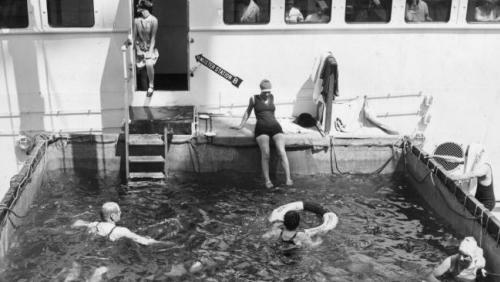 It as a Sunday and many of the shops have opened specially for Zuiderdam’s 1900 passengers. It is a far cry from 1936 when, if the ship put into a port on an early-closing day, souvenir shopping was simply off the agenda. I even have a comprehensive guide to the stores, courtesy of the ship’s port shopping ambassador, whose running commentary on the best shoreside deals is available 24/7 on my in-cabin TV. Holland America Line brings the port experience on board at every opportunity; we sail away from Curacao sipping local cocktails, serenaded by a steel-pan player. Port-inspired entertainment and activities are laid on throughout the cruise, such as tropical poolside parties, steel-pan drumming lessons, Caribbean cookery classes, destination talks and films, visits to local markets. In modern cruising terms, the medium-sized Zuiderdam offers a classic experience with impeccable service, elegant dining and top-class entertainment, without the bells and whistles of some of the behemoths plying the seas today but still a world away from cruising in the 30s. 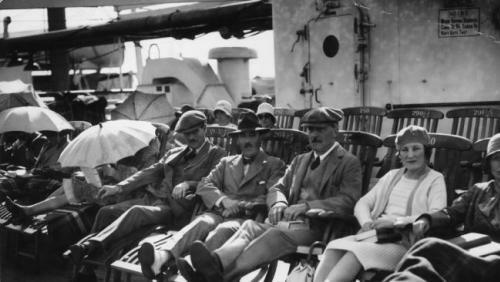 My grandmother’s days were spent strolling the promenade deck, chatting with shipboard neighbours in their designated deckchairs, taking tea, playing games and writing letters home. There were occasional films, gala dinners with paper hats, and some exhibition dancing, but by today’s standards it sounds pretty dull. On one sea day I try to join every activity going, racing from early morning Fab Abs in the fitness centre to the volleyball court and poolside ping-pong on to poker in the casino, an art auction and a talk on emeralds; into the theatre for a game show, the Culinary Arts Centre for a cooking demo, the digital workshop to discover Windows 10; plus a trivia quiz and a mixology masterclass. Phew. But I only scratch the surface, and after dinner, at a choice of four restaurants, the evening brings another smorgasbord of entertainment for every taste, from the BB King Blues Club in one lounge, to classical piano and violin music in another, and the twice-a-night big show in the plush double-deck theatre. The extraordinary feat of human endeavour that finally linked the Atlantic and Pacific oceans across Panama was the highlight of my grandmother’s day. A century after it opened, the canal still wows visitors. It is why most passengers on my cruise chose this itinerary, which goes through the first set of locks — into Gatun Lake, 25m above sea level — and I like to think it was seeing the Panama Canal that inspired my father to train as an engineer.